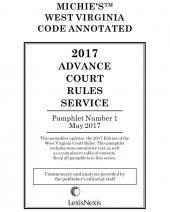 Recent Amendments to the Virginia Rules of Court along with related materials to help you stay up-to-date. 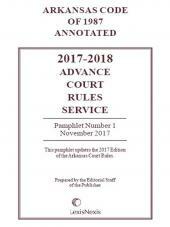 The Virginia Advance Court Rules Service contains recent rules amendments, additions, and repeals, showing exactly how the text of the rule has changed, with editorial notes describing the changes and providing the effective dates. 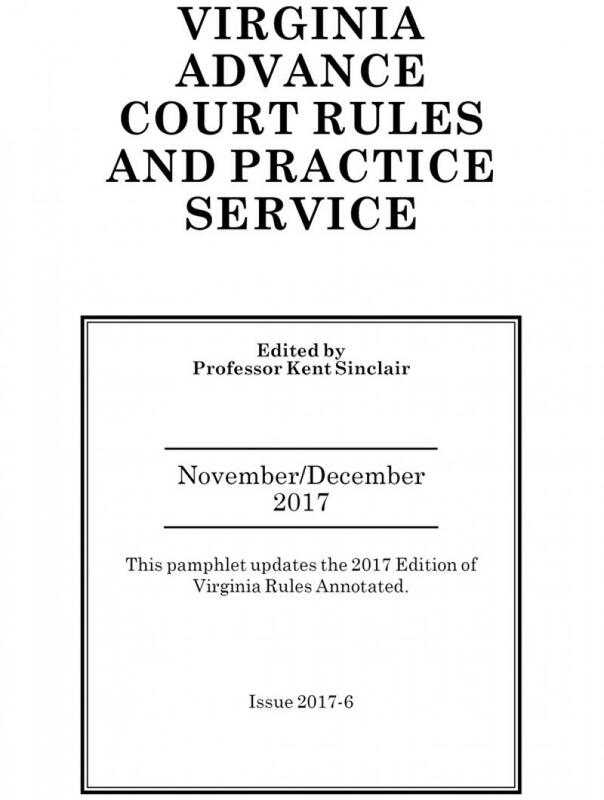 Also included are proposed rules changes for comment and review on behalf of the Supreme Court as well as other procedural Orders of the Virginia Supreme Court. 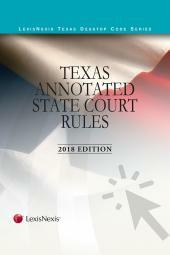 The ACRS provides case summaries of recent cases specifically construing or interpreting rules provisions. 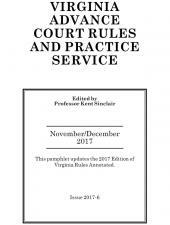 Each ACRS pamphlet also comes with a bookmark for the Court Rules Volume, showing a table of rules affected and the effective date thereof.